Western Film Festival Photos--Memphis 2011, page 1. 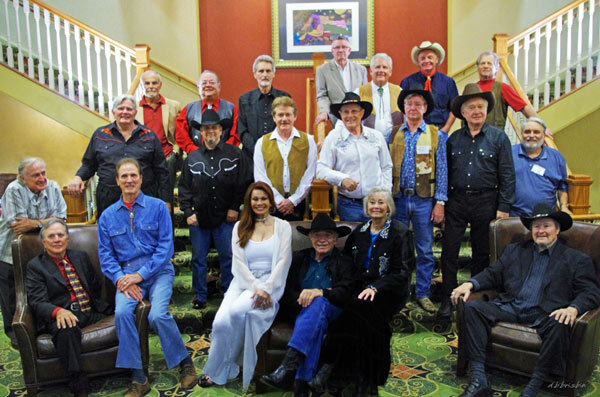 Photos from “A Gathering of Guns 3—A TV Western Reunion” at the Memphis Film Festival, co-sponsored by WESTERN CLIPPINGS, June 2-4, 2011, at Whispering Woods Hotel and Conference Center in Olive Branch, Mississippi. Thanx to all 760 attendees! 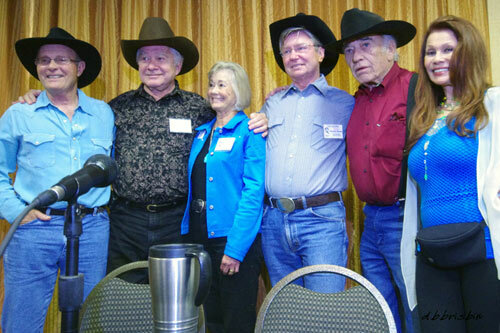 “Virginian” panel—Don Quine, Gary Clarke, Roberta Shore, Randy Boone, James Drury and BarBara Luna (once married to Doug McClure). 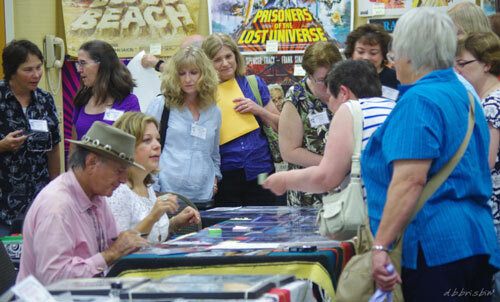 It was standing room only for “The Virginian” panel. 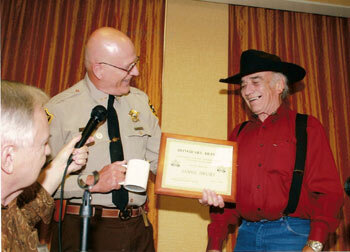 Effingham, IL, County Sheriff John Monnet made James Drury an Honorary Deputy during the “Virginian” panel. Following “The Virginian” panel discussion Gary Clarke and his talented daughter Ava performed a masterful “Who’s On First” Abbott and Costello comedy routine. 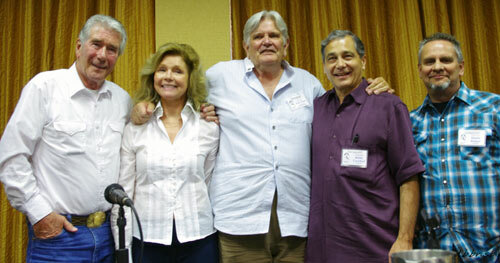 Glenn Ford’s son Peter and his wife Lynda (center) join the “Laramie” panel reunion with Robert Fuller (left), Robert Crawford and Dennis Holmes (right). 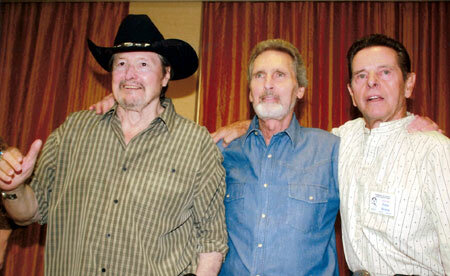 Johnny Washbrook (“My Friend Flicka”) (left) joined Bobby Diamond, Robert Mobley and Jimmy Baird for a first time ever “Fury” reunion. Mobley also starred on Disney’s “Gallegher”. 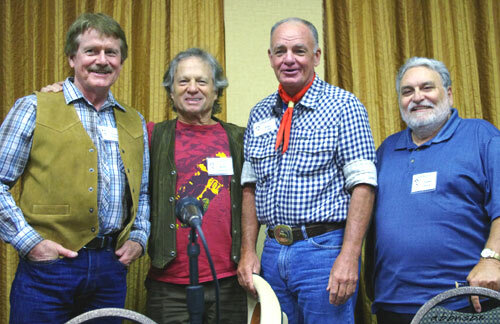 Celebrity panel discussion with (l-r) Robert Fuller (“Laramie”, “Wagon Train”), James Stacy (“Lancer”), moderator Boyd Magers, Robert Wolders (“Laredo”), Peter Brown (“Laredo”, “Lawman”). Reunited for the first time since 1967...44 years...at “A Gathering of Guns 3”, three stars of “Laredo”: William Smith, Robert Wolders, Peter Brown. A Saturday panel discussion featured (l-r) Michael Dante, BarBara Luna, moderator Ray Nielsen, Tony Numkena and John Saxon. 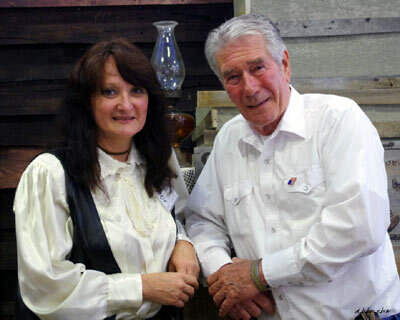 Carol Ann Kellum and Robert Fuller in the “Laramie” set designed and built by Carol especially for “A Gathering of Guns”. What a great job! 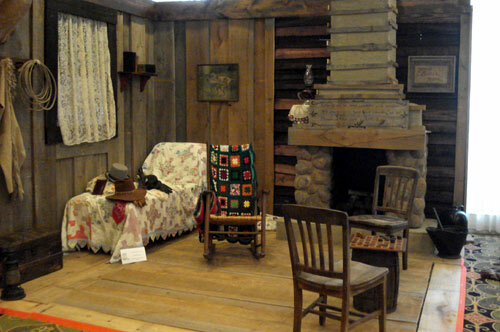 The “Laramie” set looking just like it did on the TV series was designed, constructed and set up in a corner of Whispering Woods by the gracious Carol Ann Kellum. Don Quine (Stacy on “The Virginian”) and fiancée Sharmagne Leland-St. John pose in the “Laramie” set. Sharmagne is a renown Native American performance poet and songwriter. She is also the granddaughter of B-western actor/musician Oscar Gahan. 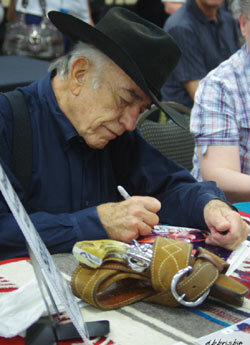 James Drury, “The Virginian”, signs an autograph. 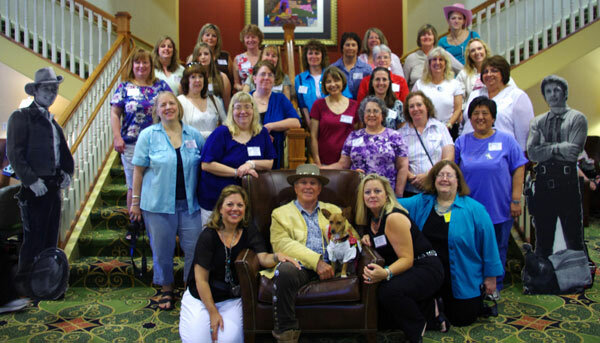 Lancer Ladies love their man...James Stacy, Johnny Madrid on “Lancer”. 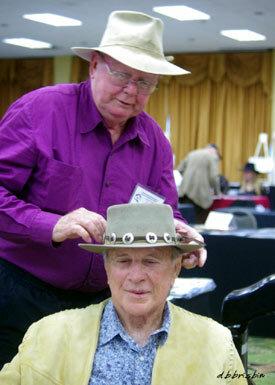 Costumer Luster Bayless makes a last minute adjustment on James Stacy’s hat. Luster graciously made the jacket Jim is wearing expressly for his appearance at “A Gathering of Guns”. Luster is best known for costuming John Wayne in his last 13 films. He now owns United American Costume Company in North Hollywood. An array of original wardrobe hats costumer Luster Bayless brought to “A Gathering of Guns” for display during one of the panels. Hats worn by James Garner, Lee Horsely, Kenny Rogers, Sam Elliott, Richard Widmark, Victor French and others. Panel discussion with (l-r) James Hampton, John Buttram (behnd the water jug), moderator Boyd Magers, Dusty Rogers, Dustin Rogers and Luster Bayless. 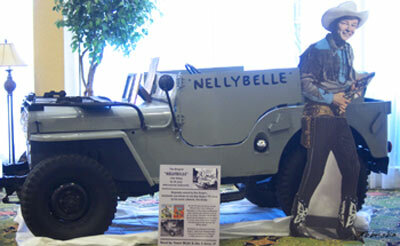 Pat Brady’s Jeep Nellybelle from the “Roy Rogers” TV series was on display in the hotel lobby for “A Gathering of Guns” courtesy of current owners Pam Weidel and John B. Haines. 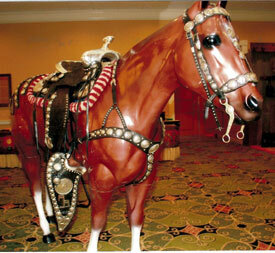 The couple purchased Nellybelle at the Roy Rogers Auction in New York in July 2010. 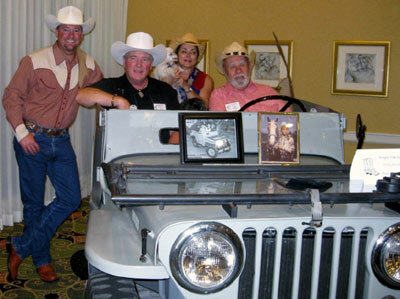 Roy Rogers’ grandson Dusty Rogers, Roy’s son Roy “Dusty” Rogers Jr., current Nellybelle owners Pam Weidel and John B. Haines pose in Pat Brady’s Jeep. 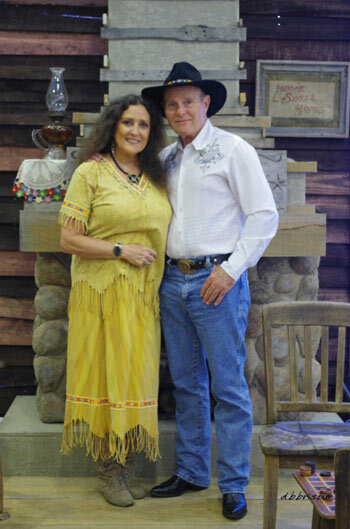 Pam Weidel and John B. Haines displayed the Trigger Jr. Bohlin-made saddle they purchased at the Roy Rogers auction. 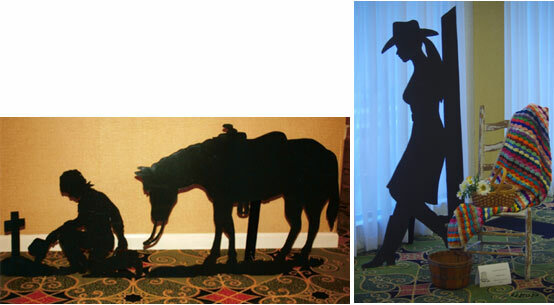 The horse display in the hotel lobby was provided by Cowboy Corner of Olive Branch. 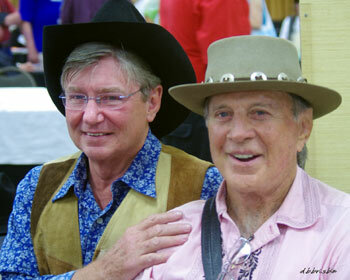 Randy Boone and James Stacy. 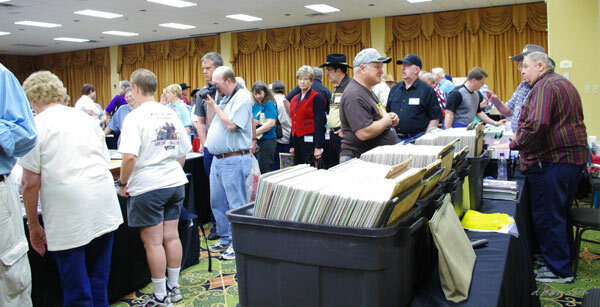 Our sincere thanx to all the dealers and fans who attended “A Gathering of Guns 3”. 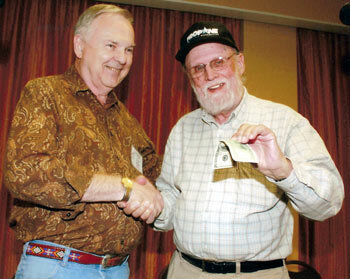 Festival co-sponsor Boyd Magers presents a $100 prize to TV Westerns Trivia Contest winner Jimmie Covington. 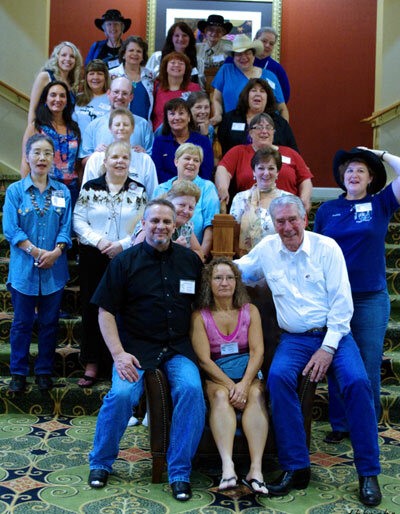 Team Laramie was there to support Dennis Holmes (left) and Robert Fuller (right), stars of “Laramie”. Lancer takes care of its own. James Stacy with the super supportive Lancer Ladies. Jim’s fiancée Antigoni Tsampartis is on Jim’s right and official festival photographer Donna Brisbin kneels beside Jim on his left. Jim’s therapy dog Ruby is there too. 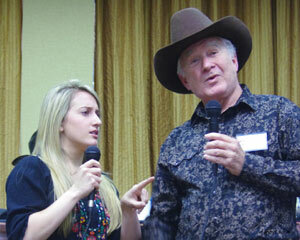 The Virginian Posse gave a resounding “Shout-Out” to James Drury at the Saturday night banquet. Eileen Sharp constructed several displays like the ones above that were placed around the hotel hallways which really enhanced the mood of the festival. 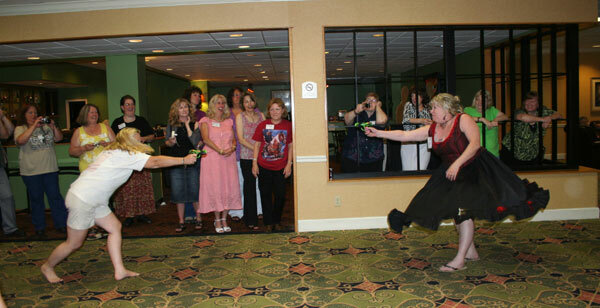 It was water guns at ten paces as a Lancer Lady (left) faced off against a Virginian Posse member for some afterhours fun at the Whispering Woods bar.